In its 88th running, Seward, Alaska’s Mount Marathon Race is an icon of Alaskan mountain running. Taking place annually on the Fourth of July, the town of Seward fills with thousands of race fans cheering on the all-day festivities. The race itself is just 5 kilometers in length, starts and finishes in downtown Seward, and involves and ascent and descent of 3,022-foot Mount Marathon, which looms over town. We’re going to say it how it is: this race course is nuts. The race starts by a quick sprint through Seward’s streets, basically at sea level. Next up comes a nearly straight-up ascent of a rocky, rooty, and slippery trail through Mount Marathon’s forested, lower flank. It’s mostly a scramble, hands included. When treeline breaks, the trail turns to just rock–a loose, thin layer of scree atop hard rock, slippery and steep enough that all four appendages are still required for good chunks of it, too–all the way to the summit. The descent route is different from the ascent route, and starts with bound-able scree. Soon the route funnels into a chute, a combination of scree, chossy rock exposures, and boulders, and it’s also unfortunately the place where a number of falling injuries take place each year. Caution, practice, and confidence are needed for a safe and fast chute descent. Once runners bottom out, it’s another zoom through Seward’s streets to the finish. Eric Strabel set the men’s course record of 42:55 in 2013, and the women’s record is held by Nancy Pease who ran 50:30 in 1990. The women’s race takes place on Saturday, July 4 at 11:15 a.m. Alaska Daylight Time (that’s 1:15 p.m. MDT in the U.S. and 9:15 p.m. CEST in Europe) and the men’s race is at 3 p.m. AKDT (that’s 5 p.m. MDT in the U.S. and Sunday, July 5 at 1:00 a.m. CEST in Europe). iRunFar is covering the race on our Twitter feed. Join us! Alaska’s Eric Strabel (pre-race interview) is the man to beat right now on Mount Marathon. He’s won the race three times, is the course-record holder, and has been in the men’s mix almost every year for at least the last decade. In 2013, he ran 42:55 for the course record and last year he won in 44:46. On June 21 of this year, Strabel was fourth at the Robert Spurr Memorial Hill Climb in Alaska, though. Earlier results show a second at the Government Peak Climb on June 6, and another fourth at the Kal’s Knoya Ridge Run on May 28, both in Alaska. Each of those three races, all part of the Alaska Mountain Runners Grand Prix, was won by Alaska’s Jim Shine. He broke the record in two of the three. The 38-year-old, who once ran a sub-29 minute 10k and competed at Colorado’s Western State University, is surely looking for an improvement over last year’s fifth-place 47:12 at Mount Marathon, his debut at the race. Alaska’s Matias Saari (pre-race interview), another long-time Mount Marathon pace pusher, will be in podium contention. For example, he was second last year (45:53), fourth in 2013 (44:53), third in 2012 (45:13), and fourth in 2011 (46:04). He’s also fresh off a second place at California’s famed Dipsea Race last month, proving his aerobic fitness is there. Experience counts on Mount Marathon, and Saari’s got that, too. Alaska’s Matt Novakovich has run the race every year since, we believe, 2009. He was the 2012 winner in a blazing 44:07. He finished third last year in 45:59 and 11th in 2013 in 48:24. When he’s not on the Mount Marathon course, he’s a pretty darn successful obstacle-course racer, and before that he was a semi-pro cyclist and a steeplechaser at Brigham Young University. Also, his nickname is ‘The Bear.’ Okay, watch out for this guy on the mountain. Last year’s sixth place (47:30), Wylie Mangelsdorf, is back, too. He was third in 2013 (44:09), which we believe was his debut at Mount Marathon. Mangelsdorf is a young Alaskan living in Colorado, and a recent graduate of a DIII college in Illinois where he competed in track and cross country. In addition to Saturday’s race, he’s also planning to compete in the U.S. Mountain Running Championships in Oregon in a couple weeks. Also returning are last year’s seventh to 10th places, Benjamin Marvin, Allan Spangler, Tor Christopherson, and Ben Ward, all Alaska dwellers. This means that the full men’s 2014 top 10 is back. Of course, as per all the hype of the last couple months, international multi-sport superstar Kilian Jornet (pre-race interview) is going to give the Mount Marathon Race a go. His aerobic and technical-running capacity exceeds almost everyone in mountain running right now. He’s arrived in Seward a couple days in advance to recon the course, but his course familiarity will not be close to his local competitors. Also, he’s not been running much either. He’s run a couple vertical Ks, including a seventh place at the Mont Blanc Vertical K last weekend and a win at La Verticale du Mole two weeks before that. His only other 2015 running race has been the Zegama Marathon in May, during which he fought through a stomach bug to a finish out of contention. Though there are a few question marks in the Kilian column, he will challenge for the win. Two-time Mount Marathon Race winner, two-time Olympic skier, and defending champ Holly Brooks announced a couple weeks ago that she’s NOT starting the race after a big ski season that left her overly fatigued. This opens up the race to a new winner. Alaska’s Christy Marvin is, thus, the fastest returner. She and Brooks had an amazing race with each other last year, with Marvin finishing second and just two seconds back in 52:51. Marvin was the 2013 champ in 53:20, her debut at Mount Marathon. Like Jim Shine in the men’s field, Christy won June 21st’s Robert Spurr Memorial Hill Climb without challenge and 1:20 faster than her win there last year, a tune-up for this race. Marvin has had success racing both the roads and the trails in her home state the last couple years. Alaska’s Najeeby Quinn finished third at last year’s Mount Marathon Race in 56:17, what we think was her first running of it. She’s been all over the Alaskan trail running scene over the years, and we think she’s the same Najeeby Quinn who won the Imogene Pass Run in Colorado three times in the early 2000s. So far this year, like men’s contender Jim Shine, she won Alaska’s Kal’s Knoya Ridge Run and Government Peak Hill Climb in record times. She took third behind winner Marvin at the Robert Spurr Memorial Hill Climb. Kikkan Randall, the “Kikkanimal,” is racing! She’s a four-time Olympic Nordic skier who competed in last winter’s Olympics, and she’s been all over the World Cup for Nordic skiing for basically her entire adult life. The Alaska dweller was also the 2011 Mount Marathon winner in 52:03. We know she’s run Mount Marathon a number of other times, at least in 2010 (third, 53:29), 2009 (second, 56:04), 2007 (second, 57:34), 2006 (second, 57:06), and 2005 (second, 57:08). Phew! At Mount Marathon, there’s a junior race that’s very competitive, too. Alaska’s Allie Ostrander is a six-time winner of the girls’ junior race, including last year when she won the junior race outright, beating all the boys as well. Ostrander is a recent high school grad who ran a 9:59 3,200 meters earlier this year and who was the 2014 Nike Cross Nationals Champion. She’ll attend Boise State University next year, and has been okay-ed to compete in the Mount Marathon Race by her future coach. 4th – 57:14 – Ann Spencer – She was also third in 2013 (56:15). 6th – 58:17 – Taylor Ostrander – She was also 17th in 2013 (1:04:13). She’s big sister to Allie Ostrander. 7th – 59:17 – Lauren Fritz – Lauren has a long history with Mount Marathon which includes a steady improvement over the years: fourth in 2013 (57:57), fifth in 2011 (59:34), 10th in 2010 (1:00:55), and seventh in 2008 (1:02:48). 8th – 59:41 – Aubrey Smith – She’s raced Mount Marathon many times, including eighth in 2013 (1:01:14), 12th in 2011 (1:02:29), third in 2009 (59:37), fourth in 2008 (58:57), and third in 2007 (59:41). 9th – 1:00:58 – Karol Fink – Another woman who has raced many times, including a ninth in 2011 (1:00:58), 15th in 2010 (1:03:09), seventh in 2009 (1:05:02), 11th in 2008 (1:04:28), 10th in 2006 (1:02:26), and 20th in 2005 (1:08:34). 10th – 1:02:13 – Rachel Dow – She’s additionally run to at least sixth in 2013 (1:01:05), fifth in 2012 (58:31), seventh in 2011 (1:00:22), fifth in 2010 (58:14), and fifth in 2009 (1:01:14). International trail running star Emelie Forsberg (pre-race interview) will give Mount Marathon her first shot. Like her life companion, Kilian Jornet, she’s arrived to Seward several days early to recce the course. Emelie is one of the best technical downhill runners in our sport right now, so if there’s any non-local who can push the Mount Marathon Race downhill, it’s probably her. Emelie is competing in all three divisions of the Skyrunner World Series this year, the Vertical K, SkyMarathon, and Ultra distances. She’s so far won the Transvulcania Ultramarathon and taken fourth at the Zegama Marathon just a week later, both races in May. She also won the La Verticale du Mole vertical K three weeks back. Who will win the men’s and women’s races? Will the locals be able to fend off the talent and drive of Kilian Jornet and Emelie Forsberg? Who will round out the men’s and women’s podiums? Do you know about the particular fitness of any of the contenders, or is there someone who you think should be in this preview and who isn’t? Let us know! Have you run the Mount Marathon Race? Tell us about your experience, from the course itself to Seward’s race-day celebrations. 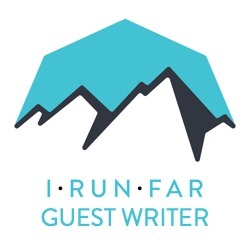 Guest Writer a contributor to iRunFar.com. Other men worthy of mention include Brent Knight (PR 44:58), Erik Johnson (PR 45:28), Lyon Kopsack (age 19) and rookies Nick Elson (Squamish, British Columbia), Kenny Brewer, Adam Jensen and Matt Shryock (if he gains entry via Friday night's auction). Timmy Parr of Colorado was signed up but is reportedly injured and thus not participating. Then there's 3-time Iditarod champion Dallas Seavey, who is not a contender but famous nonetheless! Also, Jim Shine's 37:07 at Bird Ridge on June 21 crushed a 15-year-old record by 78 seconds and is considered one of Alaska's all-time greatest mountain running performances. Tasha Folsom of Sitka (13th last year in her debut) should be one to watch among the women. I wonder if Kilian will run this type of race all out, or if we'll see him just stick himself in around 5-8th place and ride it out in a group, smiling the whole way and never really breaking a sweat. Not that if he runs it all out it's some sort of guarantee he'd win, but I wonder if this really gets his competitive juices going or if he just appreciates this is such a unique, storied race. For me it's quite clear that Kilian came to race this one full out. His performance at last week's Mont Blanc VK is no real indication of his form since he ran this VK right after a long running/scrambling session the same day. Here's his last message from his Facebook page : "On top of Mount Marathon. 3022 ft (950m) in only 5km up & down from Seward ! Enjoying the awesome views over glaciers, fjords and mountains today, saturday I will have not the time!" Even though every time I've picked against Kilian I have been burned, I have to go Strabel, Gates, and then Jornet. Watching Eric Strabel's body frame on the image above it's hard for me to imagine him following Kilian on such super steep slopes. But as a european I have to say that I do not know him at all. He's surely an outstanding athlete and might just prove me wrong ! Kilian's focus is much more heavily on big mountains this time. I suspect the sort of speed that's needed to win a running race can't be had while focusing on something as big and serious as he Himalayas. That said though, Mount Marathon doesn't look all that runnable even by my Montana Rockies standards. Looking forward to hearing about Kilian's spring in Nepal… And very curious how he will do in this… Everyone says his descending skills are unmatched… It seems to me we will find out at long last… The local talent is VERY VERY deep when it comes to this event. Former Montana Matt Shryock (2nd The Rut 2013, 11th in 2014) now lives in Anchorage and has been training hard for this but still needs to get in via the auction (by selling some triathlon gear). If he makes it in he'll be in the mix. Former Montanan Matt Shryock (2nd The Rut 2013, 11th in 2014) now lives in Anchorage and has been training hard for this but still needs to get in via the auction (by selling some triathlon gear). If he makes it in he'll be in the mix. I've been watching Matt since he won the Turnagain Trail Run earlier this year. I predict that he will win Mt. Marathon one of these days. He did exceptionally well for his rookie debut. @matias, Thanks for the tips on more men and women. I knew you and other locals could help fill in! Good luck on the weekend. That picture of Eric Strabel is giving me body image issues, that dude is jacked! @fshuetz, watch the race live here, http://i-rn.fr/15MtMarathon-LiveVid, and possibly watch some video coverage here, http://i-rn.fr/15MtMarathonLiveVid2. Enjoy! Great to see a post and coverage on a shorter more intense trail race!! And, Kilian will likely win it, with Strabel 2nd. Though it would be awesome to see a local win. Jim Shine to win the men's race, but only if his descending matches his recent form in the uphill-only races in Alaska. Allie Ostrander must be a contender for the women's race, after her awesome junior victory last year. 42 years ago Bill Spencer took 1m 39s off the boys' record at age 17, and then broke the senior men's record the following year; last year Allie took 1m 38s off the girls' record at age 17, so what can she do in her first senior race? Even without Holly and Kikkan, she will have some great competitors to push her to greater achievements. Finally, no-one has mentioned the junior race. Luke Jager must be the boys' race favourite, but the girls' race is wide open, for the first time in many years! Incidentally, I am really disappointed that none of the Alaskan TV stations appears to be live-streaming the women's race. It would have made a brilliant evening's viewing here in the UK. I agree, Nick Elson will be a top contender. He just broke his course record at the Kusam Klimb June 20th.